The first major question I heard from other CSAers was “what happened to the beet greens”? Someone figured there was a CSA out there somewhere which had only beet greens and no beets! With the Swiss Chard, it was me doing the “I will/I won’t” dance. In the end, I did come home with a bunch of chard – just not the bunch I had put in the trade box. What will I do with it? I am not real sure just yet, but I am thinking wraps with the leaf halves and a ferment with the stems. Beets? I just haven’t decided yet. Thank heavens beets will stay in the refrigerator for a while, giving you time to think things over. I ended up bringing home some arugula – I tried it on a sandwich but it was most unpleasant for me. I tried it in a marinated greens recipe, but it was grim. Dehydrate it and grind it and add it to my super-greens jar? Sounds like a plan. The kale? Ah! The kale! Kale cheeze and, probably kale chips! I do love kale! What will I do with all this? I got about 4 fennel things (pieces? Fennel bulbs with stalks with some frilly leaf-like things), 1 little bunch of parsley, 1 hd of romaine, 2 bunches of kale, 1 bunch of carrots with greens, and 1 bunch of about 5 garlic scapes. In addition, they let me take the carrot greens that some people had put into the compost pot. 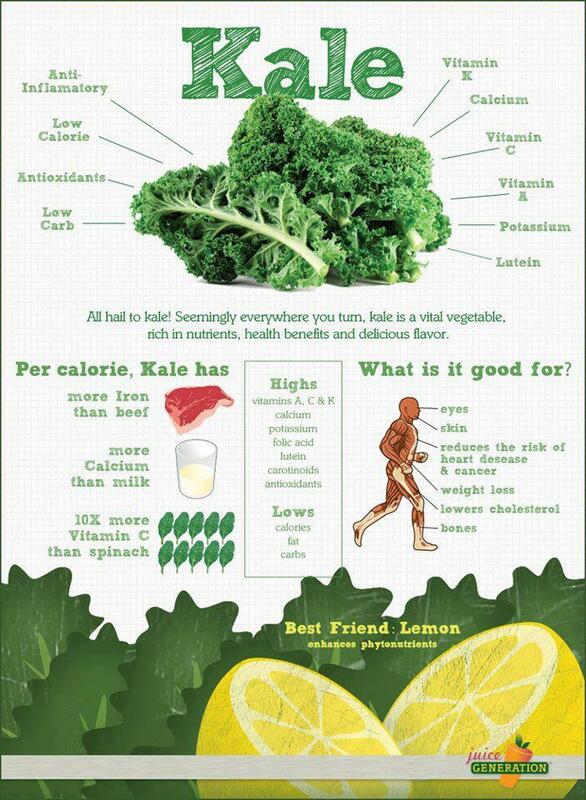 KALE – I love Kale! Do you like kale and want more kale recipes? Toot on over to Kale University and pick up their free KALE UNIVERSITY COMMUNITY COOKBOOK KALE RECIPES The price is right and the recipes are righteous. I’m a sucker for kale chips. I mostly just make the same ones over and over again, but here and there, I try new ideas to see if there might be another “same one” to add to my repertoire. Enter Nouveau Raw’s Kale Chips bank of recipes. I say bank because there at least a dozen different recipes, for whatever kind of taste you fancy. You’ll find Mexican, Thai, Jamaican, chocolate (yes! ), and more traditional-sounding vinegar-dill, sour cream and onion, and barbecue flavor ideas. The ones I’ve tried have all been good. I had big plans for today (editing a book I want to put on Kindle), but, when I finally fell out of bed at 7 a.m. (2 hours later than my usual wake-up time), I went to the kitchen, looked around, thought about what was in the refrigerator that should get used, thought some more about the mushrooms I marinated yesterday, and thought about what I could do with the portobellas and baby portabellas I bought yesterday. On a trip past the dehydrator shelf in the hall, I saw that, in addition to the 2 lbs of cashews I picked up yesterday, I have at least 3 C-worth of cashews on the rack over the dehydrator. Got lemons, jalapenos, bell peppers, onions, garlic, sea salt, and olive oil. So much for the day tied to the computer. I tied on my apron, and started digging around in my recipes. MARINATED MUSHROOMS: Let’s start with those mushrooms I marinated yesterday. After I had already started pouring oil on them, I realized that I had accidentally picked up flax oil instead of sesame oil. Oh, well, I do like flax oil on salads. We’ll just hope. I added some garlic to try to make a more flavorful mix. Gave mushrooms to the room-mate guinea pig – she liked them even with flax oil. Still, this morning, I wanted that sesame flavor, and so I drizzled about 1 teaspoon of sesame oil (all I had left) over the mushrooms and tossed them well, to distribute the oil. Then, I decided that, since the carrots in my refrigerator were not getting any younger, I should shave some off a carrot and put that in the mushroom mix as well. Did that with the vegetable peeler – really thin, sheer, see-through carrot shavings, and I chopped them into smaller pieces to mix nicely with the mushrooms. Fed that to the room-mate guinea pig, and she liked it even better, and was excited that it looked like the marinated mushrooms that she can buy in her Japanese supermarket. After I’d done that, I decided I should do something about all of the other “baby bella” mushrooms I had sitting there. I glanced at a couple of recipes I had picked up from other people, and changed a couple of things here and there, and got to work. First, I removed that stems and set them aside (I use them for “pulled” barbecue), then I sliced the mushrooms about 1/4 inch thick and put them in a large bowl. I ground a small jalapeno in Magic Bullet, then added some extra virgin olive oil, garlic, a little tamari, and some lemon juice, whizzed it again in the Magic Bullet, then poured it over the mushrooms in the bowl, and massaged it in. After that, I put the mushrooms in the dehydrator. Place mushroom slices in a large bowl. Blend remaining ingredients, then pour over mushrooms in bowl. With your hands, toss the mushrooms around with the oil mix until all pieces are well coated. I was planning to dehydrated these mushrooms to a jerky consistency, but, after about 4 hours, I tasted them, and turned around and gobbled up about half of them. I decided I should put them in a container in the refrigerator at that point. (Later, when I called Mom to wish her Happy New Year, and I told her about all of the mushrooms, she asked if they tasted like sautéed mushrooms – it has been so long since I have eaten cooked things, I had to think hard – yes, these dehydrated mushrooms taste like well-sauteed mushrooms!) I liked them so much that I sliced up 2 portobellas, cut them into 1-1/2 inch pieces, marinated them, put them right into the dehydrator, so I can have more of these delicious mushrooms. CHEEZY DEHYDRATED BROCCOLI: I dug some still-okay broccoli out of the refrigerator, and, remembering a recipe from Nouveau Raw I had seen a while back, decided that I could chop it up into about 2 C of florets , toss it with my cheddar cheese, and dehydrate it, so that was the next project. Man! It is really hard to cover broccoli florets completely with sauce. I got it done anyway. They are in the dehydrator as we speak. CHEEZY KALE CHIPS: I got the idea for the broccoli since I had a lot of kale which needed to be used. (I figured that I could make one batch of the cheddar cheese and use it on the broccoli as well as the kale – it worked, btw). This kale was labeled “young kale.” I’ll say this about “young kale” – it does last longer in the refrigerator, but, if you are going to make kale chips, it is hard to get bite-sized pieces from those small, tightly curled leaves… I got a lot of “crumbs” along the way. Never mind… two trays of chips are in the dehydrator.